Most modern refurbishments or new projects for apartment blocks need to provide not only an access control scheme, but also safe and secure means of receiving mail. POSTBOXSHOP is a leader in this field. 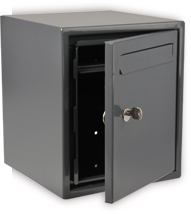 It has a wealth of experience and resources manufacturing high quality mailboxes that are specially designed to meet the requirements of the end user. These post boxes are now approved and used by many key players in the UK Building Industry and recommended by various European Post Offices. They comply with British Standards and Royal Mail requirements. We can also help to make sure they are complying with the requirements of the Disabled Discrimination Act. This range is ideal for implementing as commercial letterboxes or into large residential buildings and apartments, student accommodation and other venues.